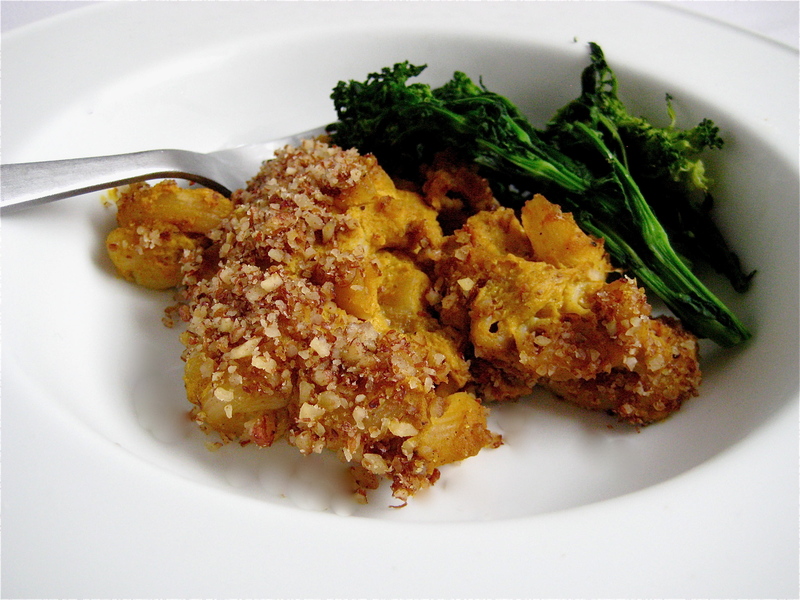 Making ricotta-like filling is one of my favorite ways to use tofu. I often prepare it and use it in lasagna, shell noodles, peppers, portabellos and, here, eggplant. A vegan version of eggplant rollatini, this is a perfect primer for those who are new to trying tofu. Preheat the oven to 425F. Put the eggplant on a baking sheet. Drizzle with olive oil. Bake for about 8 to 12 minutes until softened. Remove from oven and set aside. Reduce oven temperature to 375F. 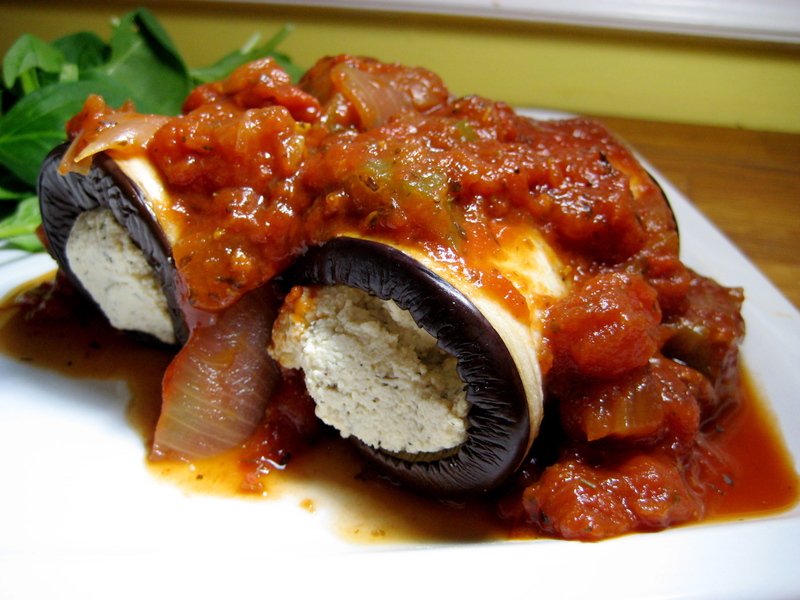 Put a small scoop of the tofu “ricotta” on one end of each of the 8 slices of eggplant. Roll each securely, then place in a baking dish that will fit them all snuggly (such as an 8-inch square). Top with the marinara. Bake for 30 to 40 minutes until eggplant is tender and sauce is bubbling. Let stand 10 minutes before serving. Put all ingredients in the food processor. Pulse until well combined. This can be made up to 2 days in advance. If using immediately, test for seasoning after pulsing. If you’re making it in advance, test for seasoning before using. 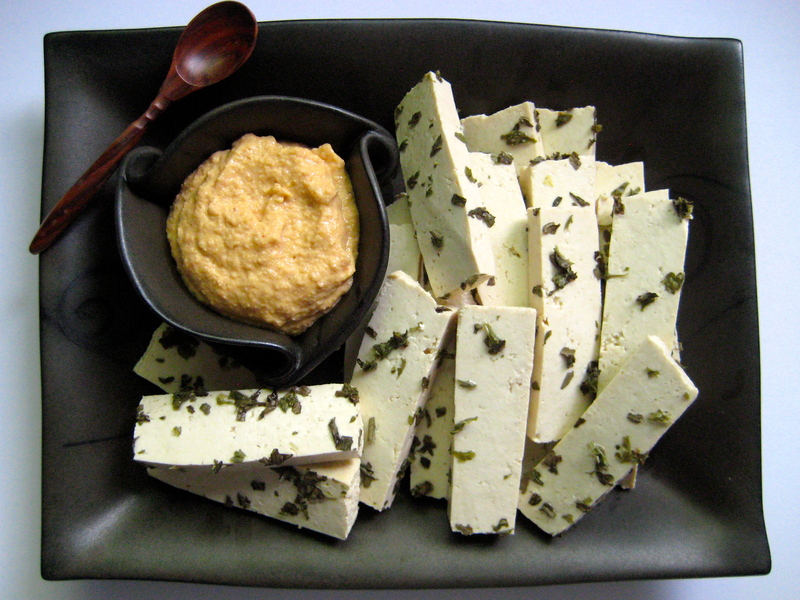 Tofu, I know, isn’t everyone’s go-to, but this briny, tangy tofu makes a perfect sandwich filling. The tofu is reminiscent of feta with that salty, brininess to it, and it’s made for layering it in crusty bread (say, with roasted red peppers and red onions, grilled portabello slices, black olive tapenade, and baby spinach) for a summery sandwich full of flavor. It’s pictured here with my recipe for Yellow Mustard with Smoked Paprika. Wrap the tofu in paper towels. Top with a heavy pan for 30 minutes, replacing the paper towels once, to remove all excess moisture. Meanwhile, put the water, vinegar, lemon juice, basil, oregano, and salt in a saucepan. Bring to a boil, then reduce and let simmer 25 minutes. Stir in the miso paste. 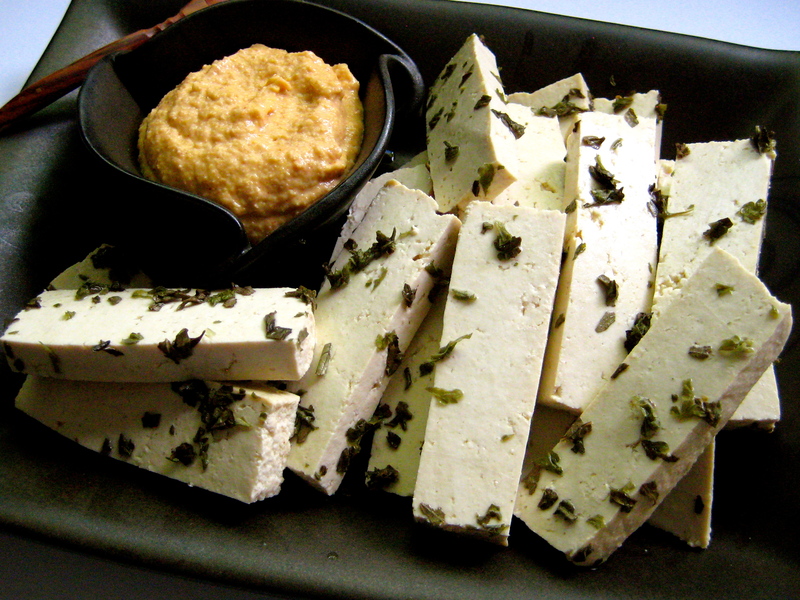 Put the pressed tofu in a container. Pour the brine over the tofu, submerging completely. Let cool. Cover and refrigerate at least 24 hours. The tofu will become more flavorful as it sits in the brine. Use within 5 days.